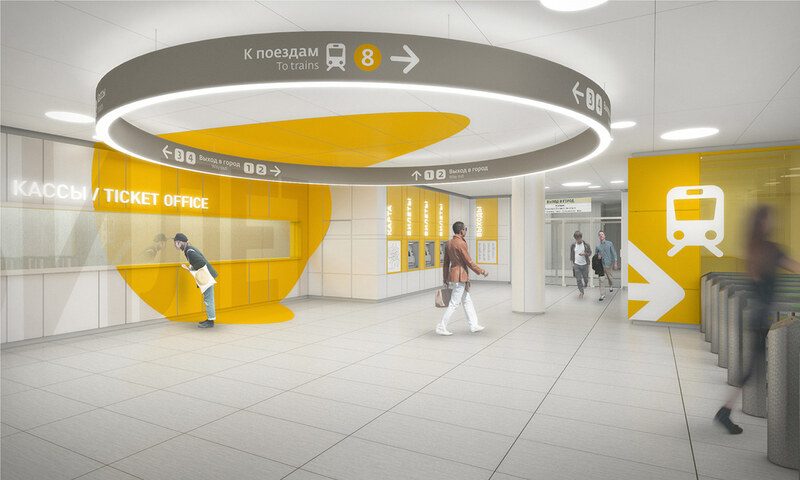 The project of Solntsevo station on the Kalinin line of the Moscow subway was designed by the architectural studio Nefa Architects. 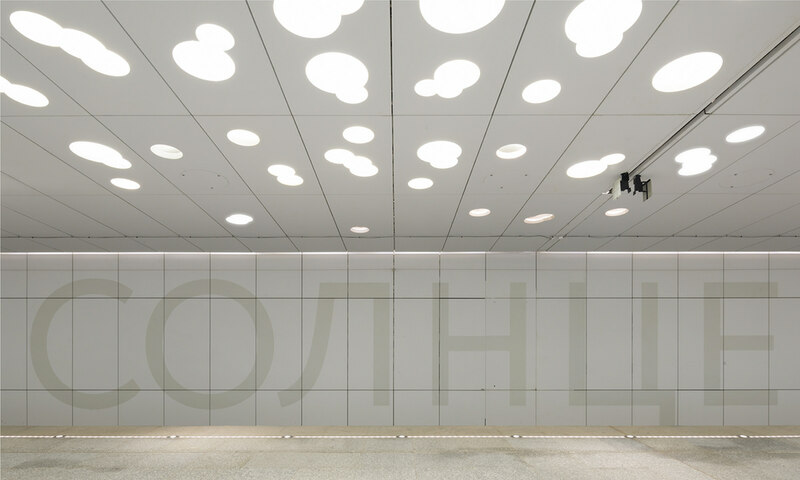 We took part in this project as designers of wayfinding and supergraphics. While staying in subways you always feel the lack of natural light and atmosphere. 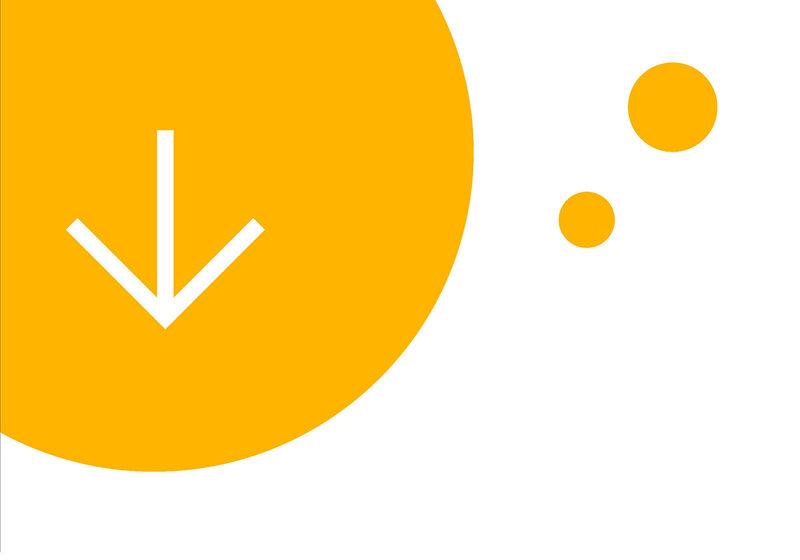 That's why out priority was to add warmth and simplicity. The name Solntsevo in Russian comes from the word "sun". 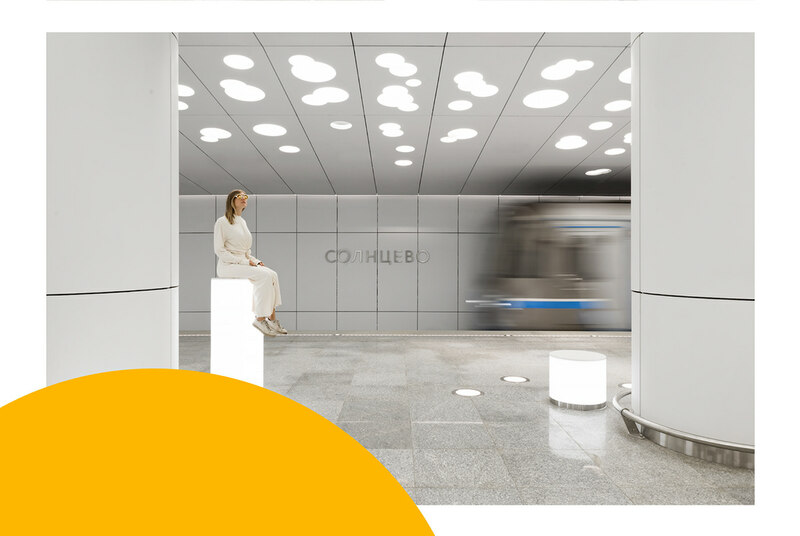 We connected the image with the name of the station, and wayfinding acquired round shape and warm colors. The interior and wayfinding are complementing each other, so the passengers can always see the direction of their way. 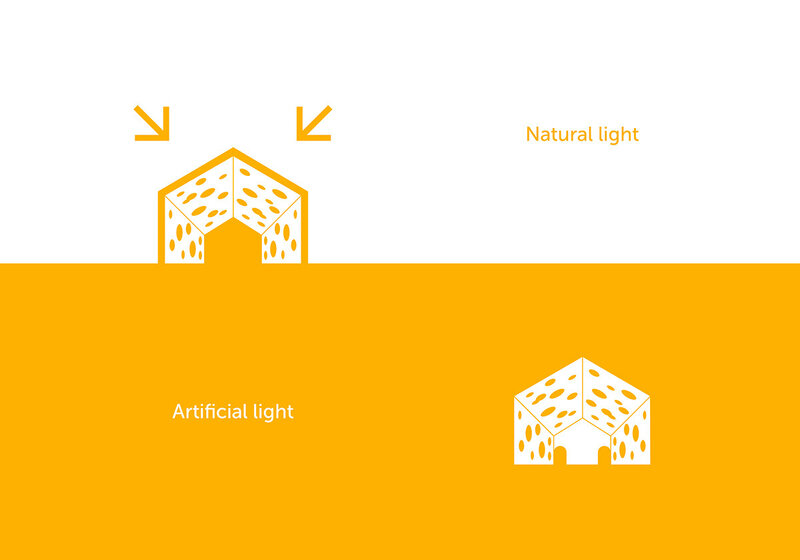 In designing of the ticket hall and the corridors of the metro we applied the graphic trick, when some kind of geometric figure is imagined on several surfaces, in our case on the ceiling, floors and walls; moreover it's "correct" form can be read only from one point, but with displacement it crumbles to pieces. 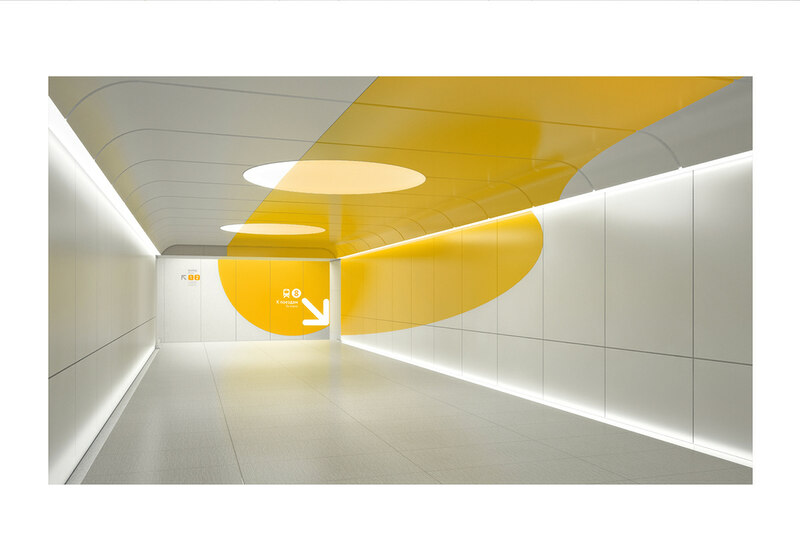 The big orange-yellow circle in the end of the corridor and ticket hall determines the direction and also works on the conceived station image as a space full of light. 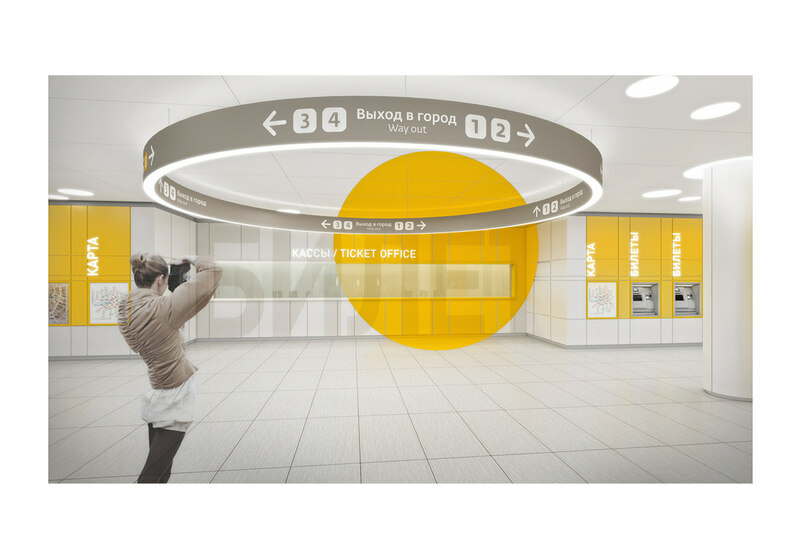 The project of Solntsevo station on Kalinin line of moscow subway was designed by architectural studio Nefa Architects. 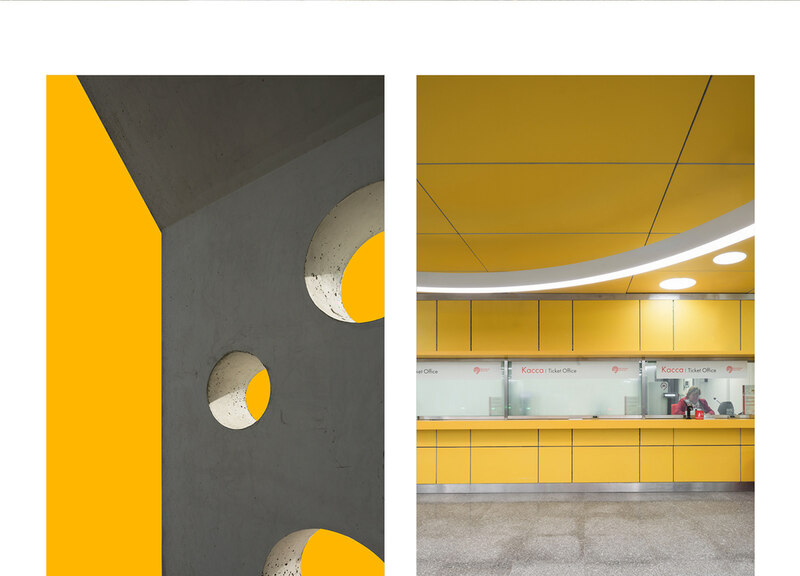 We took part in this project as designers of wayfinding and supergraphics. While staying in subway you always feel the lack of natural light ant atmosphere. That's why out priority was to add warmth and simplicity. The name Solntsevo in russian comes from the word "sun". 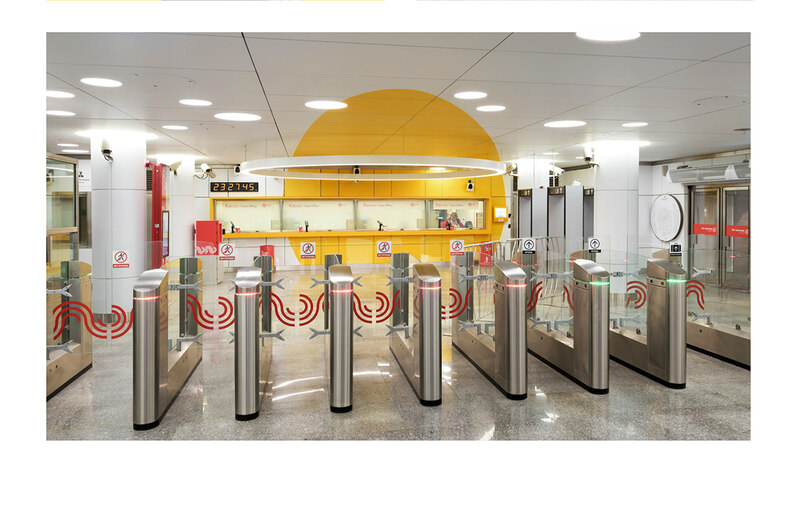 We connected the image with the name of station, and wayfinding acquired round shape and warm colors. The interior and wayfinding are complementing each other. So the passengers can always see the direction of their way. Навигация и графика для станции Московского Метро Солнцево. 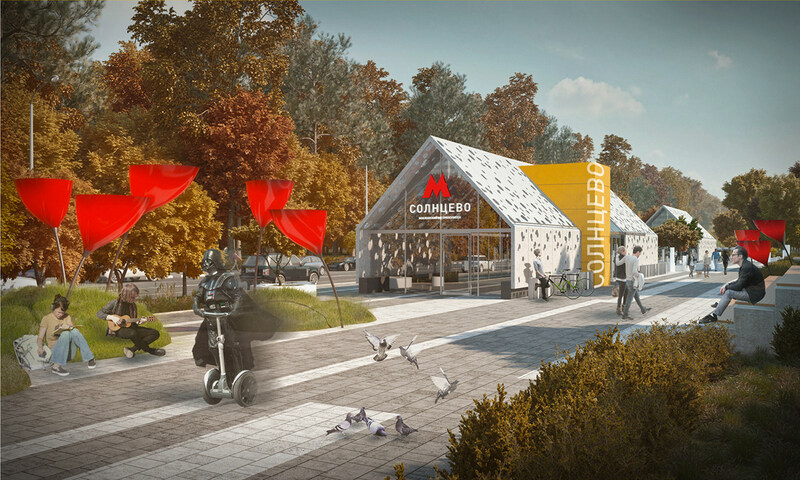 Находясь в метро хочется больше живого света и атмосферы. Поэтому нашим приоритетом было добавить тепло и легкость. Образ связали с названием станции и навигация обрела круглые формы и теплые цвета. Интерьер и навигация живут дополняя друг друга, поэтому пассажиры всегда будут видеть направление своего пути.